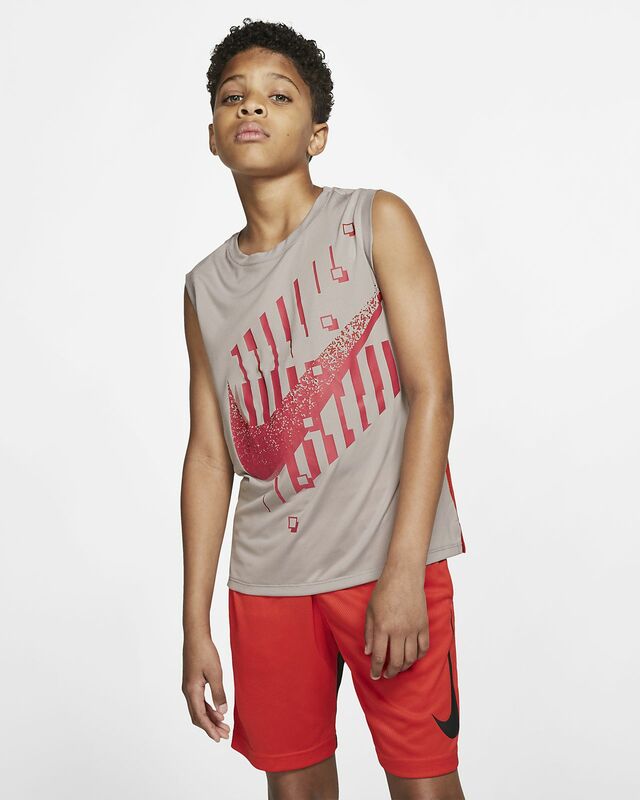 The Nike Dri-FIT Top is made from sweat-wicking fabric in a sleeveless design to help you stay cool and dry when it's time to play. The Nike Dri-FIT Top is made from sweat-wicking fabric in a sleeveless design to help you stay cool and dry when it&apos;s time to play. Sleeveless design helps you stay cool.